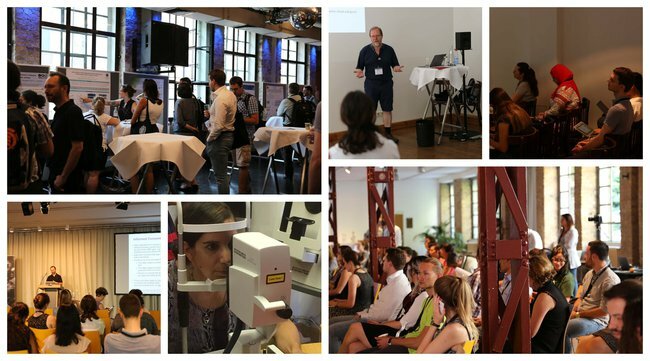 The workshops were held on 4-6 July 2018, just before the FENS Forum, with courses on brain medicine for non-specialists, neurobiology for non-specialists, ICT for non-specialists and entrepreneurship in neuroscience. Participants heard lectures by renowned experts from within and outside HBP, joined lab visits and worked on group projects. They also had the option to take exams for ECTS credits. 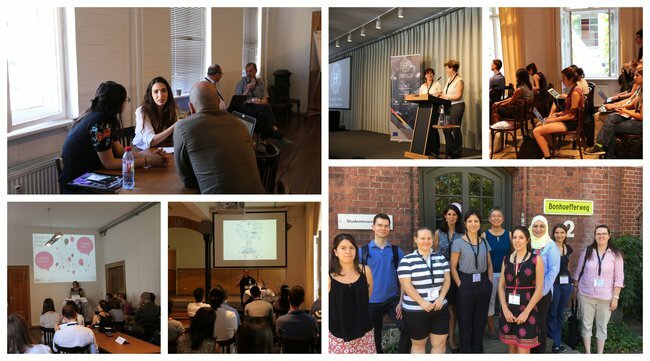 On day one, participants of the workshop on entrepreneurship in neuroscience learned about strategies and business concepts, engaged in lively discussions in working groups, and presented their ideas to their peers. Experts from the neurobiology workshop introduced their group to the basics of the field, culminating in an on-site visit to labs at the Experimental Neurology Department at Charité Berlin.The programme of the brain medicine for non-specialists workshop included a spontaneous pop-up talk on neuromusicology, an introduction to the HBP Medical Informatics Platform, extensive discussions on the collaboration between brain research and clinical practice, as well as different approaches on neuropsychiatric diseases and mental disorders. In the morning of the second day, the ICT for non-specialists workshop joined the community at Kalkscheune, where participants learned about data generation from a computational perspective, the HBP Research Infrastructure, and bridging the gaps between neuroscience and computation. Members of the entrepreneurship group were distributed all over the place, buzzing with ideas and working on their group projects. Topics of the day also included interactive patents and career development. A change of scene was on the agenda for the brain medicine group, who between many interesting lectures also got the chance to visit Charité Hospital and learn about modern imaging techniques. Simultaneously, neuroscientists shared insights into cell biology methods, electrophysiology, experimental and clinical EEG, and neuropharmacology. Finally, all groups got together to hear about ethical issues and data use in the HBP, followed by a joint poster session. The last day of this first part of the 2nd HBP Curriculum Workshop Series took ICT participants into the world of robotics, introducing them to the HBP Neurorobotics Platform and also included a demo experiment at the end. For the members of the entrepreneurship group, it was time to put the final touches on their projects and present their business ideas in front of the jury. Models in neuroscience, behavioural testing, omics in neuropharmacology and an introduction to the HBP Neuroinformatics Platform were on the last page of the agenda for the neurobiology workshop. Those attending the lectures on brain medicine were looking more closely at various diseases, from diabetes over Parkinson’s disease and autism to Christianson syndrome. Upon successful completion of an exam on the content of the online courses and participation in at least one workshop, ECTS credits can be awarded. The next opportunity to participate in a face-to-face workshop is from 15-17 November in Stockholm, Sweden.